When people use the phrase “sleeping like a baby”, they’re probably not being literal. Right, parents? We know you’re tired and exhausted, and probably beating yourself up over all the time you spent NOT sleeping before your little one arrived. Actually, one of the most fascinating sleep facts of all time doesn’t really have anything to do with how babies sleep; rather, it’s how babies affect the way their parents and guardians sleep. Between worrying about your baby—Are they sleeping too much? Too little? Waking up in time for feeding? Crying too loudly? Hearing correctly? Etc.—there’s not much time for you to worry about your own sleep quality. While we can’t erase the exhaustion that comes with taking care of a baby, we can help you worry a little less; and take some comfort in the fact that some of your baby’s sleep habits are not a cause for alarm, but are actually markers of good health. Below are some of our favorite facts about how babies sleep. #1 Baby Sleep Patterns Are Different from Ours. Adults depend on circadian rhythms to regulate sleep patterns—that is, the timing and duration of sleeping hours—but babies aren’t born with a built-in biological clock already ticking. The rhythm takes time to develop, which is why newborn sleep schedules are so erratic and unpredictable. A normal infant won’t have a regular sleep pattern until they’re about three to six months old! Additionally: Even after sleep patterns are established, babies will still sleep differently, because they don’t go though the stages of sleep the same way adults do. We go through one sleep cycle—from light sleep to REM sleep—every 90 minutes or so. 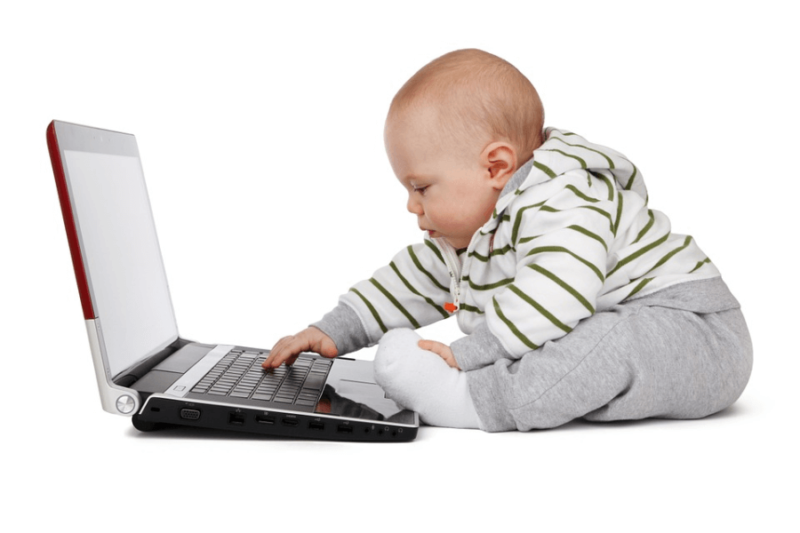 For babies, it only takes about 50 minutes; and they don’t catch up to the adult standard until they reach their toddler years. #2 Babies Are Light Sleepers. We can practically hear the exasperated sighs of the sleep deprived parents and guardians reading this now. Before you roll your eyes and think, “Tell me something I DON’T know”, consider the implications of this fact in conjunction with what we’ve just learned about baby sleep patterns. 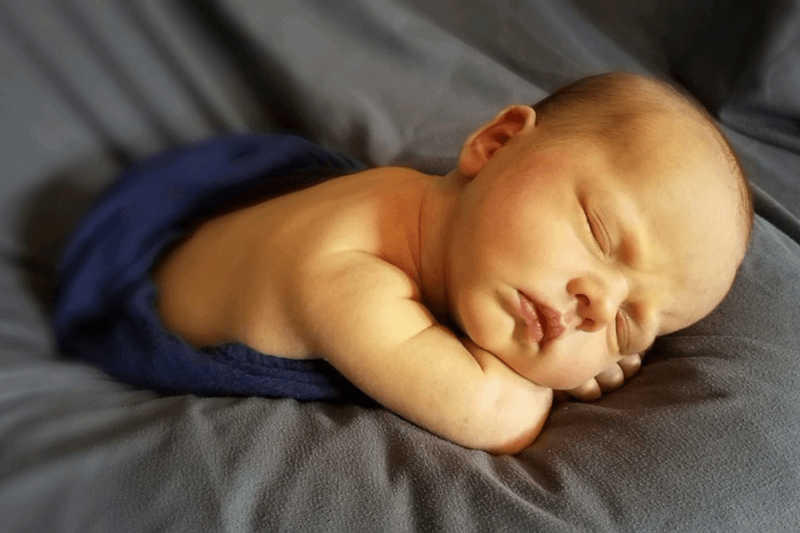 Yes, babies are light sleepers; but why? For one, it has to do with that shorter sleep cycle. Infants—particularly newborns—may actually wake up between full cycles, so it’s not so much light sleeping as it is actually learning how to sleep properly. On top of this, babies spend about the same amount of time in both NREM/quiet and REM/active sleep; compared to adults that spend only about 20% of their slumber in REM sleep. Deep sleep actually occurs right before REM sleep, and is the last of the three stages of NREM—the other two being part of light sleep. What does this all mean? Not only is the infant sleep cycle shorter, but it also includes a lower percentage of deep sleep! It can take up to 20 minutes of light sleep before your baby sleeps into a deep slumber, and even then, REM sleep ensues shortly after. This is part of why they need to sleep so often. #3 When It Comes to Daytime Naps, Every Baby Is Different. Let’s qualify this, before doctors and health professionals get into an uproar. Yes, there are ideal numbers: A good nap is generally considered to be at least about an hour and a half in length. There are also commonly prescribed amounts of naps per day, depending on age range—three to four naps from three to five months, two to three naps from six to nine months, and up to two thereafter and into the toddler ages. Newborns don’t nap, as much as they have short windows of waking moments, in between sleeping periods of two to four hours at a time throughout the entire day. 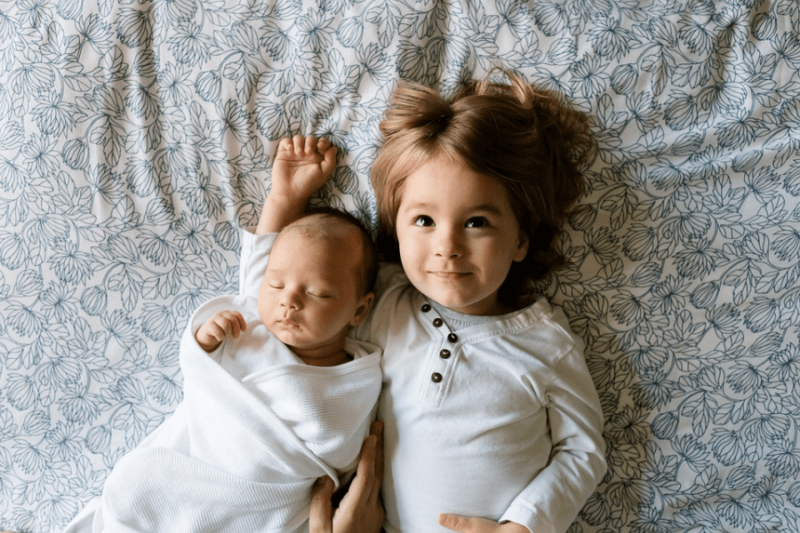 Your baby’s actual sleep habits may be close to this, or completely different—depending on factors such as temperament, environment, constancy of daily routine, and more. If your baby’s naps are unusually short, but they nap more often or sleep through the night with relative ease—waking only to feed—that’s fine. If your baby naps for more than an hour and a half but takes less naps overall, that’s fine, too. What’s most important is the total number of hours spent sleeping in a day—about 11 to 18 hours, depending on the baby’s age. The point is that your baby hasn’t read the baby books you have, and they don’t understand what their pediatrician says during checkups. As long as they’re happy and healthy, deviating from standard daytime sleep habits isn’t such a big deal. #4 Babies Process Information and Learn Even During Sleep. Contrary to what some may believe, infants get a lot of sleep. This is good news, because sleep influences learning and memory; and if that’s true for adults that spend one third of their lives asleep, what more for babies that spend up to 70% of their time in slumber? 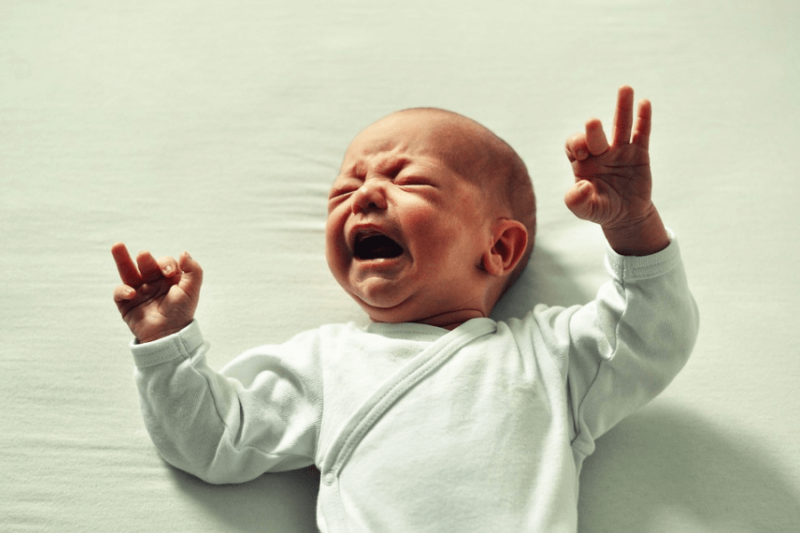 From training themselves to recognize their parent’s voices, to figuring out working non-verbal cues to express feelings like hunger or pain—and much, much, more—babies learn and test the limits of their environment continuously when they’re awake. What they learn is then consolidated and bolstered by periods of sleep in between their waking moments. And even though there’s no conclusive proof that learning while sleeping works with adults—most studies on this actually refer to memory reactivation, which requires previous learning while awake—it can actually work with babies. #5 Night Wakings Are Normal and Necessary. You may think that getting your baby to sleep through the night is important, but night wakings are essential and developmentally appropriate, especially in the first few months of a baby’s life. There are a couple of reasons for this. First and foremost, the typical reason: hunger and satiation. Your baby’s stomach is small, so it follows that they will need to feed more often than adults do. As this is a basic need, they will wake up! It’s a matter of survival, after all. Your baby cannot tell you what it needs verbally and cannot work out how to fix something that’s wrong by themselves; so on top of hunger, night wakings may be a cry for help because they are too hot, too cold, in pain, in need of a diaper change or simply in need of some comfort or cuddling. Most importantly, protective awakenings may ensue from breathing difficulties—saving your baby from suffocation.